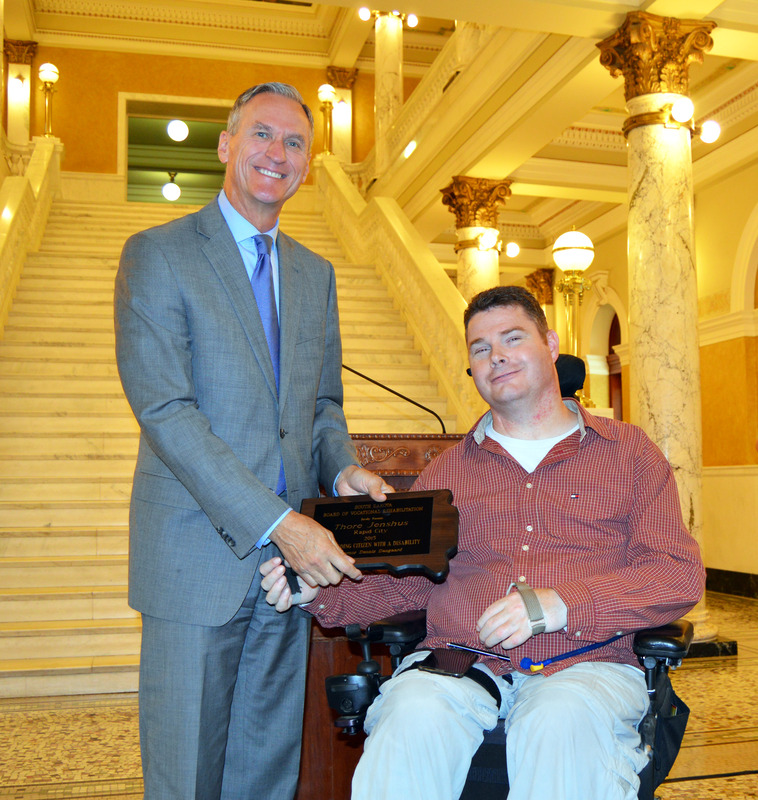 On September 3, 2015, Thore Jenshus of South Dakota received the Governor’s Award for his contributions to the rehabilitation and employment of South Dakotans with disabilities. 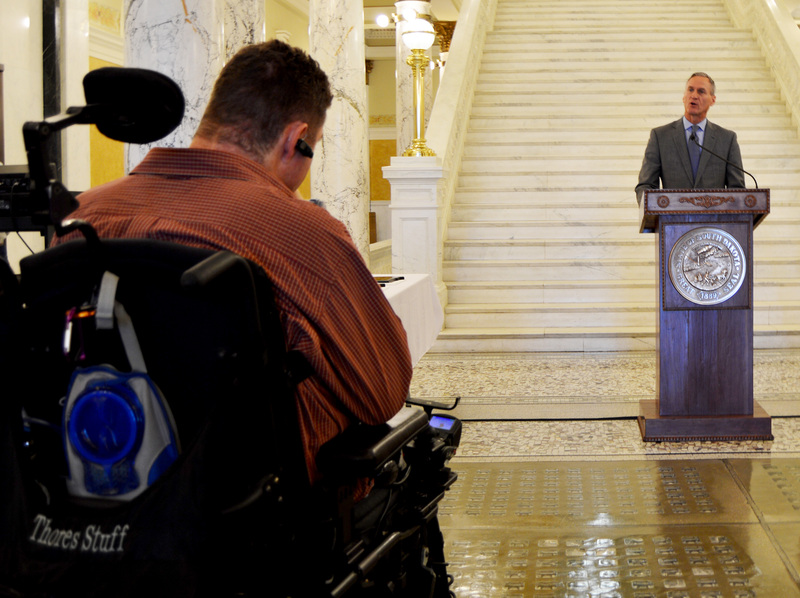 Due to all of Thore’s hard work and perseverance, he has set a precedent for the disabled community and more importantly continues to chip away at the negative stereotypes towards disabled workers. Thore’s journey began back in August of 2009 on a typical hot summer day in South Dakota. While participating in one of his favorite activities, riding his dirt bike in the Hills with friends after work, Thore was thrown head first from his motorcycle. While attempting to evade nearby trees, he collided with an unseen stump. Despite wearing a helmet, Thore sustained a break to his C-5 vertebrae which lead to his new state of quadriplegia. Thore spent next 5 ½ months at Craig Hospital where he found the necessary tools to get back to his new lifestyle. He learned to adapt to his new limitations by relying on his ingenuity that remained as sharp as ever, a trait that allowed him to design tools which enabled him to return to working as a mechanical engineer at Legend Suspensions for the next five years. Thore is now working at Accurpress, a distributor of high quality brakes and shears. Along with receiving the Governor’s Award, Thore has recently been appointed by the governor to sit on the board for South Dakota Vocational Rehabilitation. This position that will require frequent trips across the state, but allow him to continue his advocacy campaign for the disabled.